Along with her professional obligations, Diana maintains a strong commitment of service to the greater community through music. On November 8, 2013, the most devastating storm to ever hit land devasted the Philippine Islands. 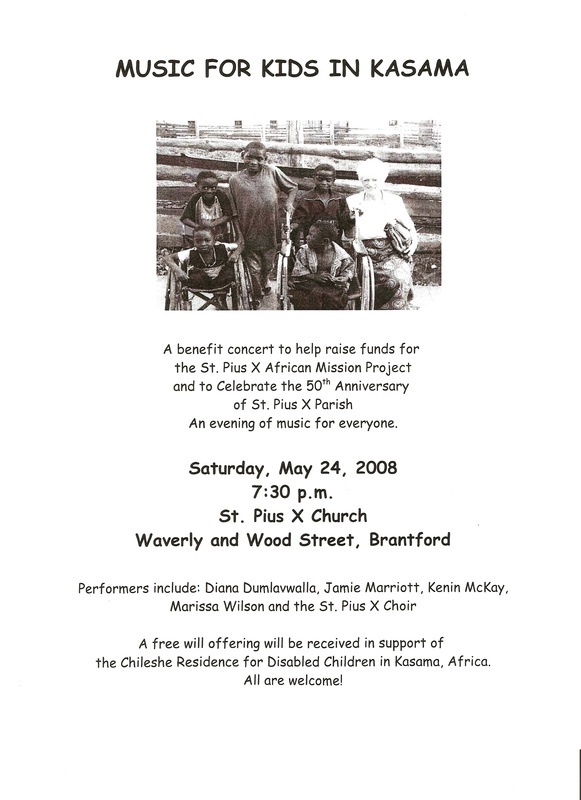 In response to the suffering of the Filipino people and the great need for financial aid, Diana took on a significant role in the planning and performing of a Benefit Concert organized by Cynthia Advincula of the Filipino Canadian Association of Brantford. Taking place exactly one month after Typhoon Haiyan struck land, the event brought together a number of young musicians and the Brantford community rallied to support the cause. 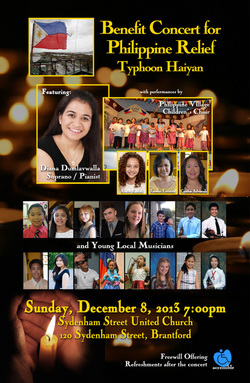 Diana strives to instill the values of community service in her students through the sharing of their musical talents. Her private studio in Brantford gives an annual Christmas recital at a retirement home in the community. The performances always end with a festive sing-a-long and the residents, students and parents leave with a strong feeling of fellowship and goodwill. The studio has entertained residents at the John Noble Home, Seasons Bell Lane Residence, St. Joseph's Lifecare Centre, Parkview Retirement Home, the Charlotte Villa and Participation House. As part of their coursework, her university students have also organized and performed in concerts held at retirement homes and hospitals in the Windsor, London and Toronto areas.